Samsung’s best smartphone from grand series, the all new Samsung Galaxy Grand Max going to launch in India on 17th Feb. 2015 priced approx Rs 20,000. 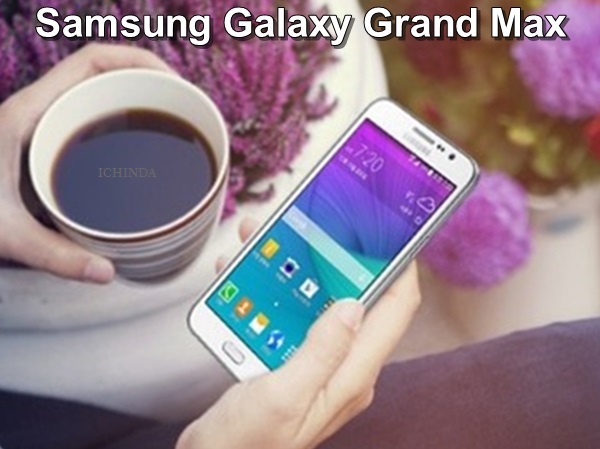 Samsung Galaxy Grand Ma is avaialble in home Korean market priced at SKW 3,70,000 (Approx. Rs. 21,200/$290 ) only in White colour through carriers LG+, SKT, and Olleh. It will take on HTC desire 826. The all new Samsung Galaxy Grand Max supports 4G LTE, Single-SIM, Micro Sim with 3G, Wi-Fi 802.11 b/g/n, Micro-USB, A-GPS, Bluetooth 4.0, 3.5mm audio jack, GPS, Glonass, and FM radio comes with a bigger 5.25-inch (720×1280 pixels) HD TFT display promising crystal clear wide-angle view perfect for your multi-tasking. For shooting Samsung Galaxy Grand Max sporting a huge 13-MP Primary autofocus camera with LED flash and CMOS Sensor and for clicking selfies and video calling it offers you a 5-MP front-facing camera with 120 degree viewing lance. It’s packed with a 2500mAh battery measures 146.1x75x7.9mm and weight 161 gm including innovative features like wide-angle selfie, selfie voice command, selfie with palm gesture, and beauty face features, apart from ultra power saving mode and private mode. At last few honest word, Samsung Galaxy Grand Max is coming to rule the mid-range smartphone market in India. What you think? Please be open to give your view.